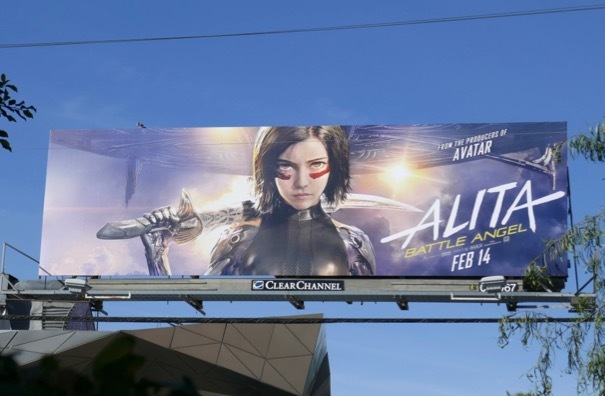 This year another classic cyberpunk manga series, this one by Yukito Kishiro and known in Japan as Gunnm (aka Battle Angel Alita), gets adapted for the big screen and gets a slight title rejig to Alita: Battle Angel. 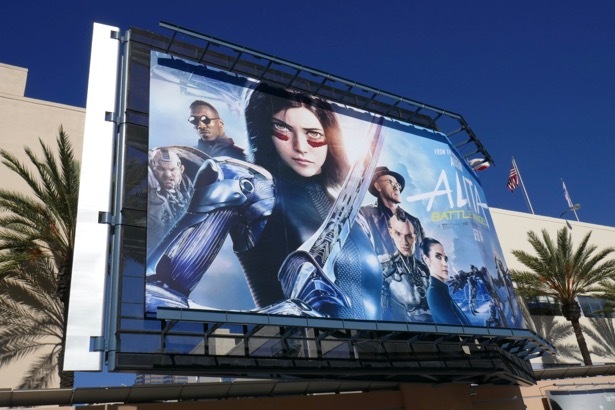 Rosa Salazar is the titular heroine in Robert Rodriguez's live-action film set in a distant dystopian future and she plays a teenage cyborg found on a giant scrap heap unaware of her origins. Repaired and given a new body by Christoph Waltz's kindly robotic repairman, 'Dr. Dyson Ido', she embarks on a journey of discovery through Iron City which sees her fall in love with 'Hugo' (Keean Johnson), face serial killers and take part in the deadly professional cyborg sporting league of 'Motorball', run by Mahershala Ali's sinister 'Vector' and Jennifer Connelly's scientist 'Chiren'. 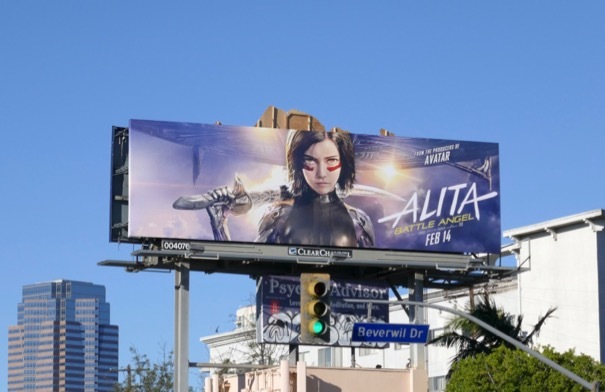 Who is 'Alita', where does this cyborg come from and what secrets does she hold? 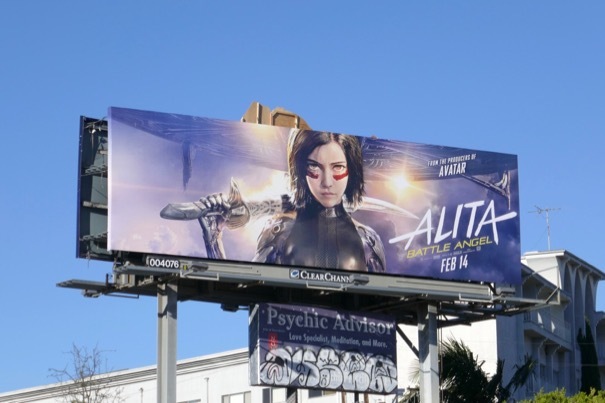 These movie billboards were snapped along Pico Boulevard and Olympic Boulevard from January 21 to January 27, 2019. 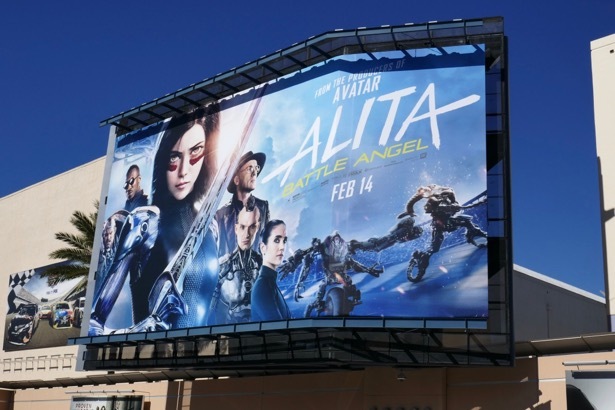 Fans of the futuristic film can also check out this movie exhibit for Alita: Battle Angel on display. 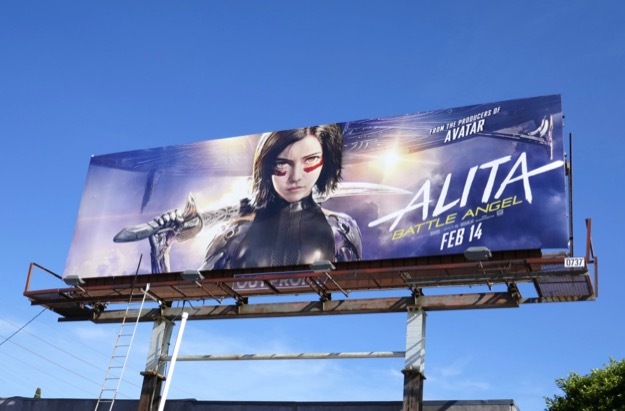 Hyped as from the producer of Avatar (James Cameron), let's see if this sci-fi action movie will leave audiences as wide-eyed as the heroine's CGI enhanced eyes this February. UPDATED: Here's another ad creative for the movie featuring the wider cast spotted at Fox Studios backlot. 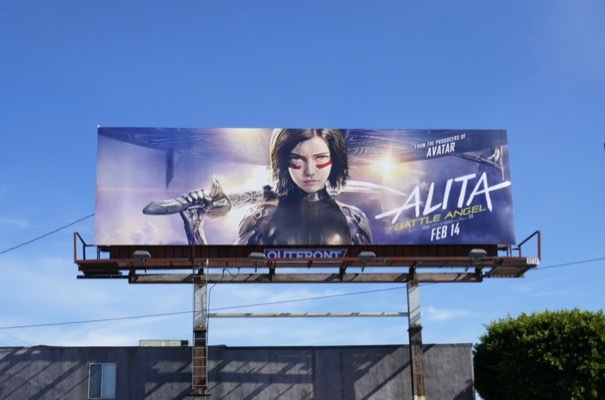 This larger billboard was snapped on February 7, 2019, along L.A.'s Pico Boulevard.